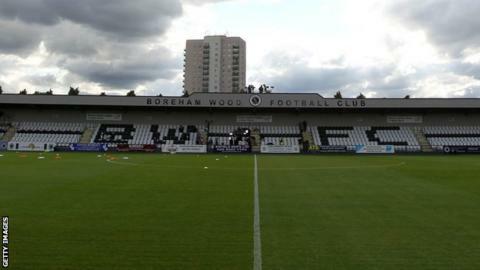 National League side Boreham Wood have signed Luton Town striker Zane Banton on a one-month loan deal. Banton has made two appearances for the Hatters since signing his first professional deal with the League Two club in September 2013. The 19-year-old could make his Boreham Wood debut when they travel to Torquay United on Tuesday. Ian Allison's side are 21st in the National League, with seven points from their opening 11 fixtures.